I was headed to a Girls weekend getaway last month. I asked myself “When was the last time I went away where I wasn’t ON or working?” I couldn’t remember. Let’s just say it’s been a long time. 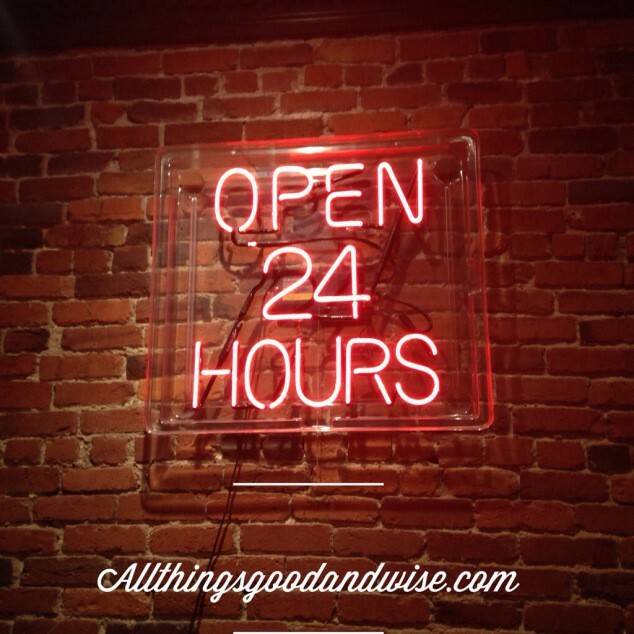 Do you ever feel like as an entrepreneur you have a huge sign over your head that says OPEN for BUSINESS 24/7? But for this trip I thought, I will enjoy my time, I will relax and not worry for anyone but myself. Sounds so relaxing, because when I am not helping my mother, I am taking care of my dog, my kids, my house, my yard, my car, my husband, my business, my kitchen, my blog, and so much more. What about you, what is on your plate? Do you have a long list of must do’s? I thought on this trip I would do some reading and sleeping, but mostly I wanted to clear my mind and let my mind rest. To de-clutter from all of the needs and wants of the world and focus on being at peace. It was a tricky task because I seldom slow down. I am a major go getter type A person. I stay super occupied and fill my days with purposeful things, but I needed to unplug. I don’t need to unplug from electronics but from the shooting arrows of my own mind. I needed to quite my mind and let it rest. I needed to put my mind on bed rest. Boredom is good. I said to myself. I also told myself to, Don’t take your computer, leave your phone in the car and make sure your loved ones know your land line at the condo/hotel. Tell your companions that you don’t want to work and let them keep you accountable. Understand that this plan is going to help you clear your head and make you better at your job NEXT WEEK. Don’t feel guilty for being unproductive. Just burn that thought now! Just rest. I need to let my thoughts focus on the beauty of nature. The simplicity of life. I will plan to re-focus when my mind tries to worry. I will meditate on my favorite verses. I will notice the simple things around me like nature and goodness. I will lie in sleep with prayers and peace on my lips. If you had a weekend getaway how would you spend your time?